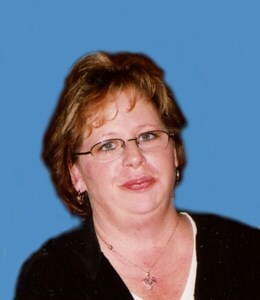 Dawn Marie Verdegan, age 55, of Green Bay, passed away peacefully, Thursday, November 15, 2018 at her home, surrounded by her loving family. She was born June 27, 1963 in Green Bay, daughter of the late Leroy and Beatrice (Liska) Verdegan and was a graduate of Green Bay Southwest High School, Class of 1981. After graduating, Dawn attended cosmetology school and worked in various salons in the Green Bay area. Dawn worked as a cook at St. Mary's Hospital, which she really loved. Later in her life, she was a dietitian/cook at St. Joseph School. Dawn truly enjoyed working with the children at the school. Dawn was an animal lover and especially liked tigers and lions. She was an avid collector of all memorabilia related to tigers and lions. She enjoyed traveling and was able to take some memorable trips to the Bahamas as well as Mexico. Her greatest joy was her son, Jameson, who was born in 1996 and became the focus of her entire life. Dawn is survived by her son, Jameson; her sister, Mary Verdegan; 2 brothers, Roger (Verna) Verdegan and Jack Verdegan; numerous special nieces, nephews, other relatives and close friends. She was preceded in death by 6 siblings: Mary, Donna, Joe, Gary and Steve Verdegan and Jill Harrison. Visitation will be held at Newcomer-Green Bay Chapel (3340 S. Monroe Ave., Green Bay), Tuesday, November 20, 2018 from 4 to 6 PM. A memorial service will follow at 6 PM. Dawn's family would like to extend a very special thank you to Dawn's sister, Mary Verdegan, who was her primary caregiver and enabled Dawn to remain in her home during her illness. Thank you also to Aurora At-Home Hospice for their excellent care and support. Add your memories to the guest book of Dawn Verdegan. My best memories of Dawn were sitting with her through the long Pop Warner Football practices, while our boys played together. We would sometimes take walks in the neighborhood while the boys were practicing or we would just sit together and enjoy watching while we shared stories of the challenges and amazing blessings of raising our athlete boys as single moms. Beyond a shadow of a doubt, her greatest pride and joy has been Jameson!!! She loved you SO much!!! Jameson - if you need anything at all, PLEASE reach out to Blair and me. You are definitely in our thoughts and prayers..... Jesus is with you! WOW what a surprise of the news . I remember Dawns Laugh always smiling and having a good time. I remember saving Dawn as she feel the east river and pulled herouy. We laughed about it after words. Also Iam sorry of the loss of Jill. Sad as it has become of them losses in the past years to your family. Been a long time since Ive seen yous all. Iam sorry I cant make it since I started a new job and cant get off. Also I work second shift. Take Care will be thinking of all of yous tonight. To Jameson and all of Dawn's family - I am deeply saddened to learn of Dawn's death. My heart aches for those of us who loved her so much. I knew Dawn as she worked in the kitchen for SJS for so many years. She had such a kind and caring heart and will be deeply missed. I am blessed to have had Dawn in my life. I will hold you up in prayer at this time. May those that love you provide you with comfort and support, and talk about the hilarious memories of Dawn to bring joy back to your heart. May you also find a measure of comfort and peace in God's promises found in the the Holy Scriptures: "For the eyes of God are roving about through all the earth to show his strength" 2 Chronicles 16:9. I hope you are found in your time of heartache and relieved. Our deepest sympathy to your family. Dawn always was so loving and friendly when we came thru the church kitchen. She always had a smile and a hug. She was a disciple of love and goodness. Our thoughts and many prayers go out to the family. Were so sorry for your loss. May god bless thru this time. Your family will be kept in our prayers.